This Kubota 15-in-1 Ratcheting Screwdriver With Hex Key is made to get the job done. Designed with a grip handle and constructed of heavy duty metal. Includes: 8pcs folding Hex Key Wrench, 6 pcs 1 inch Screwdriver bits. The DEWALT MAX FIT Telescoping Multi-Bit Ratcheting Screwdriver is designed for maximum fit in fasteners and reduces the potential for stripped screws. The telescoping bar provides the right amount of length when needed and retracts for storage. This product also features a magnetic screw lock system, keeping fasteners secure during horizontal or vertical usage. This ratcheting screwdriver with 8 double-ended steel bits makes any home improvement project or job go that much faster: the general-purpose selection of screwdriver bits store in the handle for easy access and the ratcheting mechanism makes short work of driving in screws. An easy-to-grip ergonomic handle helps reduce strain on your arm and wrist. 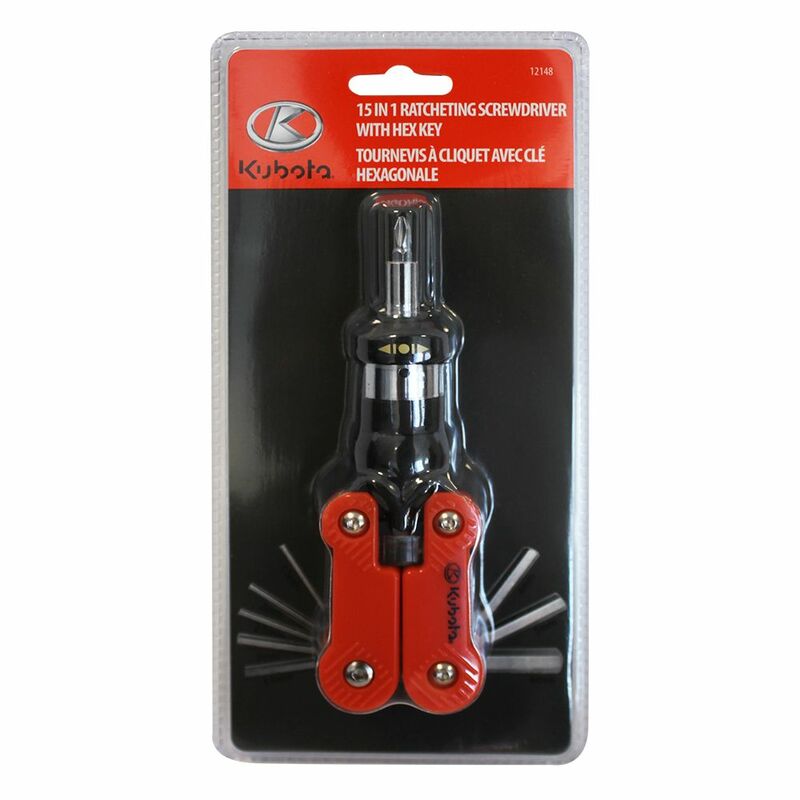 15-in-1 Ratcheting Screwdriver This Kubota 15-in-1 Ratcheting Screwdriver With Hex Key is made to get the job done. Designed with a grip handle and constructed of heavy duty metal. Includes: 8pcs folding Hex Key Wrench, 6 pcs 1 inch Screwdriver bits.